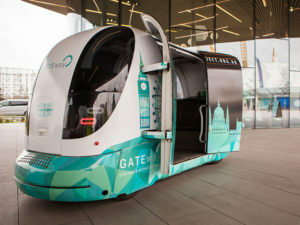 Low speeds, mixed pedestrianised areas and controlled environments with little or no other vehicular traffic – all manna for autonomous vehicle engineers – the autonomous pod sector has been an important middle ground to create products and services which marry driverless technology to public service and mass transit. A key stage to help governments and manufacturers alike understand long-term service delivery, cost of maintenance and real-world technology development, as well as actual profits from end consumers, pods might be sniffed at as a low-end approach to autonomy, but their importance to public acceptance and a supply line of experienced technologists are critical to the commercial progress of the sector. Here we run through some of the most exciting driverless pod vehicles around the world, their history and their deployments, and worth remembering that while Waymo’s monthly mileage has dramatically accelerated towards 10 million driverless miles in 2018, the most active pods – some of which have been operational and carrying passengers for more than 5 years, have covered just as many with considerably less fanfare or investment. 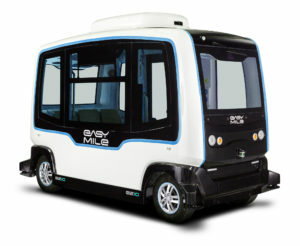 To qualify for the list, the vehicles must be in production, bespoke designed and built for the purpose of autonomously driving 4-12 people in a semi-closed environment below 30 mph or 50km/h. Arguably the most successful marketers, the Navya fleet now boasts two mature vehicles, the Shuttle (pictured right) and Cab (pictured left), and has been seen in most of the world’s capitals, often branded with local corporate sponsor logos and surrounded by ‘first autonomous vehicle in the country’ media fanfare. With more than 100 Shuttles deployed in only 4 years, it’s a successful business which is sure to be around for a long time. Thanks to a new production site recently launched in Michigan, watch out for more Navya appearances in North America. The EZ1O pod is readily recognisable from tremendous media coverage since its foundation in 2014, and the company now boasts additional bases in Singapore, the US and Germany. Expanding into airport services, the company recently launched a driverless baggage handling tractor for use on air-side tarmac. 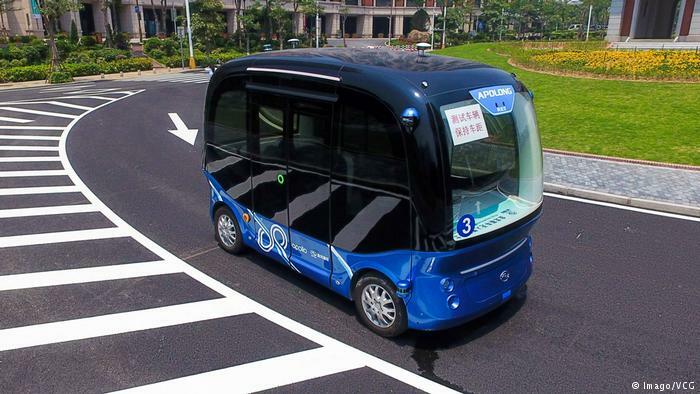 The Apolong bus, seating up to 14 people and running on the company’s Apollo software, is manufactured in volume by Chinese bus builder King Long, but arrives on the list by virtue of sheer numbers, with more than 100 already built despite only being announced in 2018. Woe betide anyone that doubts Baidu’s intentions to dominate the mainland market in China, with numbers and speed of build at that rate, it’s only a matter of time before the vehicle is seen in other countries. 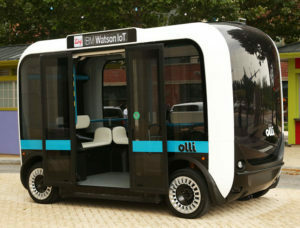 The Olli, with IBM Watson’s IoT platform inside, maintains a special place on the list as the only open-source pod. The novel 3D printed bus maintains a number of development and product design communities, to encourage a collaborative effort in resolving design challenges, such as accessibility. With major enterprise partners and four US bases, the Local Motors approach might not be overtly commercial or particularly visible with deployed vehicles on the international stage, its engagement potential is significant. 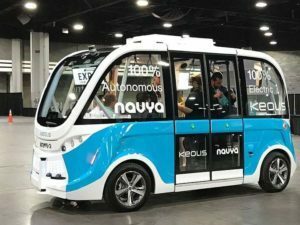 Pod Zero (third iteration) and an unnamed bus planned for 2019, Aurrigo maintains close links with parent company RDM, and has additional bases in Australia, US and Canada. 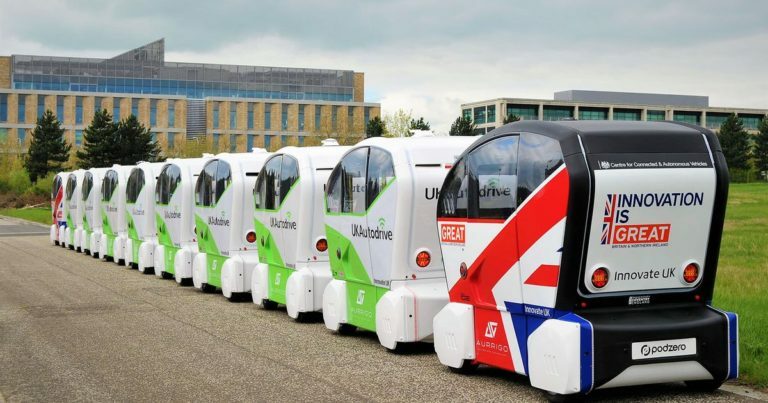 A spin-out from contract manufacturer and engineering firm RDM Group, Aurrigo’s pods have become synonymous with the UK’s efforts in autonomous vehicles thanks to fervent use of the Union Flag to demonstrate government support for the technology sector. A spin-out from the British sportscar manufacturer, the Westfield AV has driven more than 6 million miles while carrying more than 4 million passengers, mainly at the UK’s Heathrow Airport, and continues to be used in urban and closed-loop transport, as well as R&D projects often paired with Oxbotica’s Selenium OS. More interestingly, the company has brought to bear its own racing genetics with an autonomous sportscar, the GTM, and an autonomous road sweeper. The 6 seater Rivium and larger 12-24 passenger minibus, designed with Italian supercar studio Zagato, are handsome vehicles. A recent new branch in Asia has accelerated expansion on the continent and although the company’s team have been working together for more than 20 years, their international penetration still shows considerable unexploited growth potential. Kamaz might not be a well known brand outside Russia, but inside the vast country, it’s a huge manufacturer, and if you watch truck rallying (yes, that’s a real thing), a genuine engineering powerhouse. The unfortunately named SHATL, demonstrated after 2 years of preparation for the first time in 2018, is similar to the Navya Cab in size and configuration, although not as advanced. The quirkily designed pod has a special take on what modular transport means, with a concept that allows for various configurations and even a walk-through corridor between joined pods. 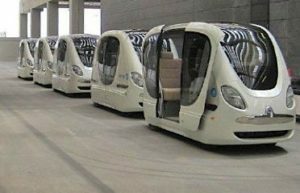 Recent demonstrations of the vehicles in Dubai, indicate the company’s development activities are beginning to make progress since a debut in 2016, and we’re likely to see much more of the company in 2019. There will always be companies around the edges or expected to come in to the sector, so who are they and what’s their interest? Arrival. Sister company to Roborace, Arrival has developed a small EV delivery vehicle which will be used by the UK’s Royal Mail in London, paving the way for a new vehicle manufacturer with hand-in-glove links to an autonomous vehicle developer. Einride. 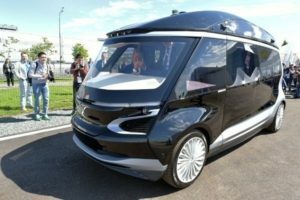 Another autonomous mini-truck, the Swedish company’s vehicle and service-orientated concept will inevitably move towards people-moving as a spin-off from its logistical market. After all, living humans are still just freight, albeit very demanding freight!